Venture capital firm Sequoia Capital India and German investment firm Burda Principal Investments have led a $17-million (Rs 108.7 crore) Series B round in Thailand-based online fashion marketplace Zilingo, a company statement said. Tim Draper, founder of Silicon Valley-based venture capital firm Draper Associates, and Manik Arora, founder of family office of IDG Ventures India also participated in the funding round. Venturra Capital, SIG, Beenext and Wavemaker, among others, also put in money. This is Arora’s first investment in Southeast Asia. The investment in Zilingo is one of Sequoia Capital India’s many foreign bets. The Indian arm of the VC firm is an active investor in Southeast Asia with a portfolio that includes online marketplace Tokopedia, transport and logistics startup GoJek, online travel aggregator Traveloka, among others. It has also invested in US-based ventures such as enterprise software-as-a-service provider SirionLabs and analytics solutions and services firm SCIO Health Analytics. Sweden-headquartered caller identification app Truecaller is also one of the VC firm’s investments. India is Truecaller’s largest market. Munich-based Hubert Burda Media, which operates Burda Principal Investments, is an international tech and media company. It has previously backed fashion tech startup Etsy. “We have been extremely impressed with Zilingo’s growth and focus on strong unit economics. We believe there is a massive opportunity to build the leading fashion marketplace in the region and are very excited to join their journey,” said Albert Shyy, principal and head of the Singapore office at Burda. The Zilingo app allows users to upload pictures of their products and provides them with free shipping, packaging, doorstep pickup, secure payment options, a mobile analytics dashboard, and consultation on pricing strategy. The buyers can also chat with sellers, exchange photos, create wish lists, take notes and track products. Zilingo currently ships to eight countries and has seller hubs in Thailand, Indonesia, Hong Kong, Korea, Vietnam, and Cambodia. 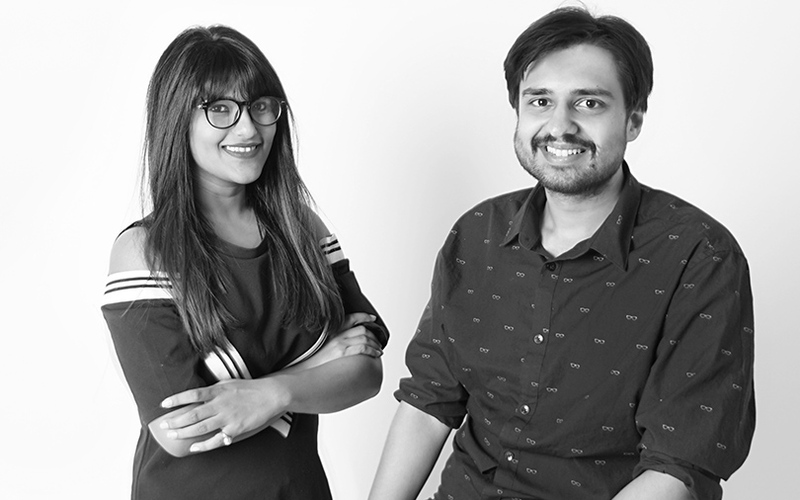 The Thailand-headquartered firm was founded by Ankiti Bose (CEO) and Dhruv Kapoor (CTO) in 2015. Bose is a former McKinsey consultant from Mumbai, who worked at Sequoia Capital in Bangalore before quitting her job to start Zilingo. Kapoor, an IIT Guwahati alumnus, has previously worked at Yahoo and Kiwi, an American gaming startup. Bose currently lives in Bangkok and runs the day-to-day business operations while Dhruv oversees the engineering teams at Bangalore and Bangkok.